Our year started well with the premiere of 3 Idiots And A Wiseman, an absolutely hilarious comedy written by Clemento Ashiteye and Richmond Amoakoh produced by Plan B Studios and SuperFam Network. 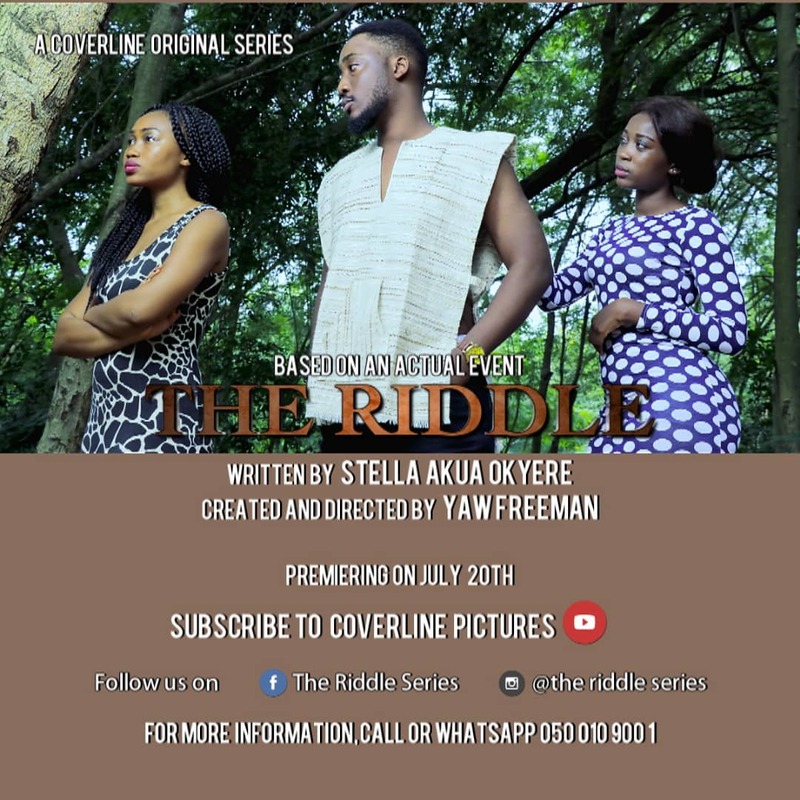 The film follows the story of Asataman who returns from prison for a crime committed by his childhood best friend Nii Lamptey who is now a wealthy, notorious kidnapper who uses philanthropy to mask his dirty dealings. He teams up with his hip and eccentric Uncle, Zerubbabel (Akrobeto), an old friend from prison, Bronzy (Bismark The Joke) and Bronzy’s daft big-nose prodigy, Pinocchio (Richmond Amoakoh), to form an unlikely band of clumsy robbers. After several attempts at robbery that always end in crazy and hilarious results, they devise a scheme to take from Nii Lamptey (Fiifi Coleman), what Asataman rightfully believes is his. 3 Idiots and A Wiseman is a classic slapstick comedy that would most likely be loved by many for the cast it assembles and their distinctive comedic antics. The four main characters in the film, Asataman, Bronzy, Zerubbabel and Pinocchio are absolutely hilarious in every scene and they share enough screen time to make you enjoy their performances. You can never get tired of the evergreen Akrobeto and his interesting grammatical blunders. The movie, just goes from joke to joke, scene after scene like a well scripted stand up performance although you could sense some of the punchlines from a mile away. The cast line up also includes a tall list of other comic actors that includes Kwaku Manu, Janeral Ntatia, Dr. So, Comedian OB, SDK and his parents, Filaman and Richard Kalybos Asante who all add up to the humor in this film. For film lovers who are just about the laughs and comedy, this is a film you would absolutely enjoy. It gives the kind of feels that accompany Hollywood movies like Hot Shots! (1991), Dumb and Dumber (1994), Rat Race (2001) and The Pink Panther (2006) to mention a few. The screenplay focuses mostly on Asataman and his cohorts clearly leaving all the other parts of the story that in our opinion could have been better developed and executed to make the film more interesting, satisfying and weightier. We at GhMoviefreak.com scored this film 6.4/10 after passing it through our rating scale. There isn’t much in there for deep thinking but a decently executed attempt at providing some good laughs for almost anybody. Besides that, we feel the plot could have been a bit weightier and grounded with the central plot. We also feel some of the other characters could have been used to keep a fine balance with the actual drama that this story potentially had as opposed to the almost insignificant roles they had. Slapstick humor clearly isn’t always for everyone, especially the section of cinema goers who expect to be served with more than just laughter when they go to the movies. The need to keep a fine balance with the drama is equally important so as to satisfy that portion of the audience to some degree at least. Although it does live to its title, we felt the film strayed from its central plot for most of its run time with all the goofy shenanigans. Fortunately, the climax gives a decent enough resolution to the main plot, of course, in a way that is sure to bring you some laughter. Production elements were also quite decent for this film. The only let down was the acoustics set up of the National Theater which didn’t really favor most of the scenes in the film that had a lot of ambient sounds. We loved SuperFam Network‘s stage production, THE INSPECTION, last year (read full review here) and we are quite impressed with their second outing with this hilarious feature film. It only goes to show they are serious about providing therapeutic entertainment for the masses. We can only expect more from whatever they decide to serve us with next. The attempt with this film was absolutely daring and they sufficiently delivered. If you missed out on the sold-out premiere night at the national theater last Saturday, then you really shouldn’t have any excuse to go see this film. You are guaranteed of a good time, that’s for sure. For now, you can look forward to catching the 3 Idiots and A Wiseman showing at the CCB Auditorium in Kumasi on the 16th of February 2019 and at the Best Western Plus Atlantic Hotel in Takoradi on the 2nd of March, 2019. If you have seen this film, share with us your thoughts on it in the comments section below. Don’t forgot to also add your voice to our rating by choosing between 1 to 5 stars in the user rating segment below. There isn’t much in there for deep thinking but a decently executed attempt at providing some good laughs for almost anybody. Besides that, we feel the plot could have been a bit weightier and grounded with the central plot. We also feel some of the other characters could have been used to keep a fine balance with the actual drama that this story potentially had as opposed to the almost insignificant roles they had. Movie Review: Catch Them Young, Faith in Christian Films.